Never underestimate the usefulness of the small tools in your kit. 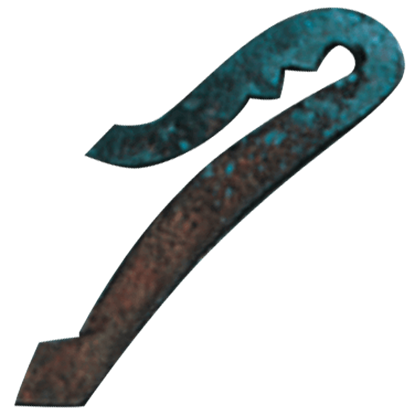 Some, like this Cast Iron Pick, are multi-taskers, capable of handling a wide variety of problems with only a bit of creative thinking needed to craft a solution. 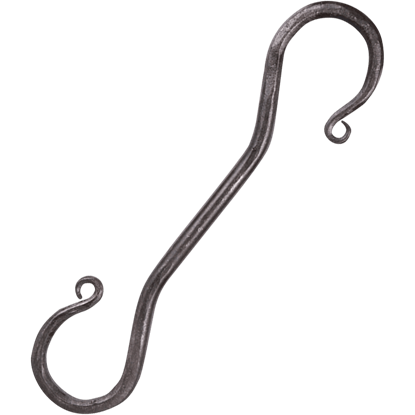 Any kind of medieval or Renaissance setting can benefit from the Center Twist S Hook. 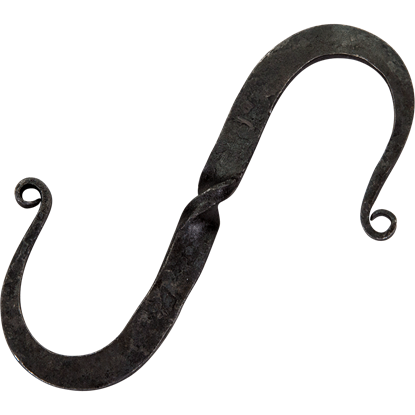 Hang up pots, lamps, and more with this hand forged iron hook. The S-shape is versatile and sturdy, with little details adding interest to its look. When building a fire the historic way, a flint striker is a must-have, whether you are reenacting, camping, or anything else. This Closed Flint Striker is fully functional and will serve well in all your fire-making endeavors. When building a fire the historic way, a flint striker is a must-have, whether you are reenacting, camping, or anything else. 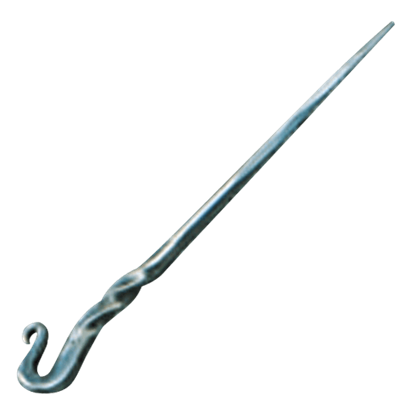 This Double Bar Flint Striker is fully functional and will serve well in all your fire-making endeavors. When building a fire the historic way, a flint striker is a must-have, whether you are reenacting, camping, or anything else. 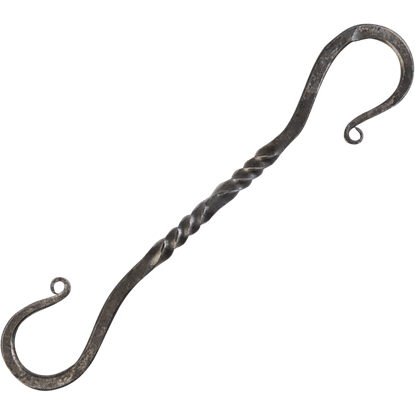 This Double Loop Flint Striker is fully functional and will serve well in all your fire-making endeavors. 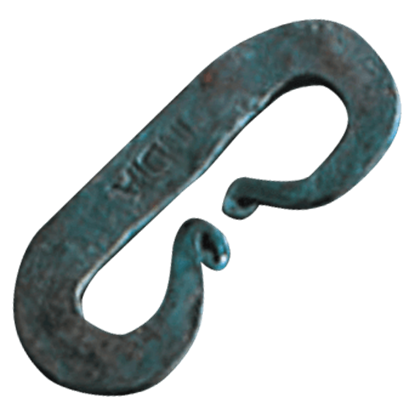 Contribute to the historical atmosphere of a reenactment or renaissance faire by using the Gudrun Large Iron Hook to organize your camping equipment. 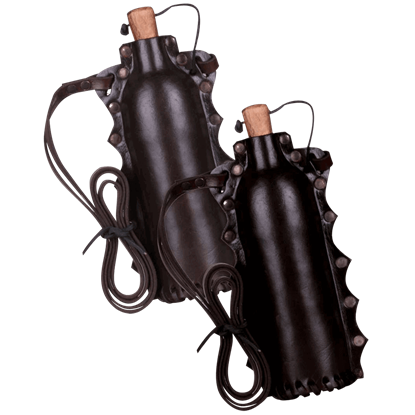 It is perfect for hanging heavier items in your tent or dangling a pot over a fire. When embarking on a medieval camping trip stay well organized while creating a historical setting. 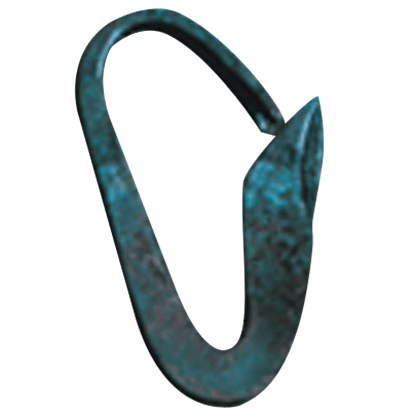 The Gudrun Twisted Iron Hook is perfect for hanging heavier gear in your tent or works with a tripod to hold a pot over the campfire. 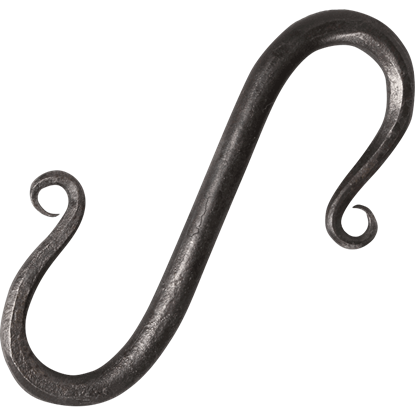 The Gudrun Wrought Iron Hook is a necessary accessory for those who wish to put their medieval camping skills to the test. Create more room in your tent by using this s-hook to hang your pots, pans, and other cooking utensils. Take a bite out of history when you enjoy your next feast using Hand Forged Medieval Cutlery. 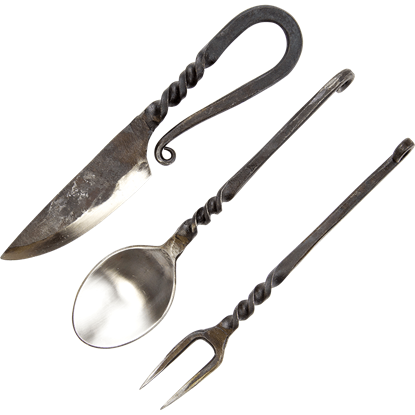 This feastware set includes a spoon, a two-pronged fork, and a knife, all handcrafted from carbon steel for a rugged, historical look. 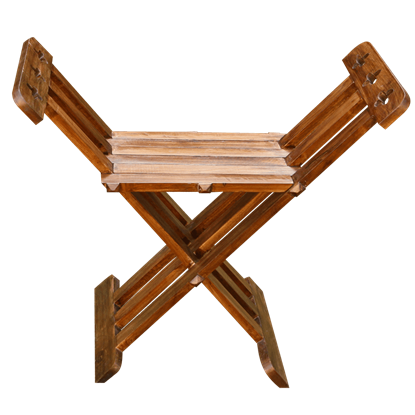 Prepare your next medieval or Viking meal with the help of the Historical Camping Tripod. 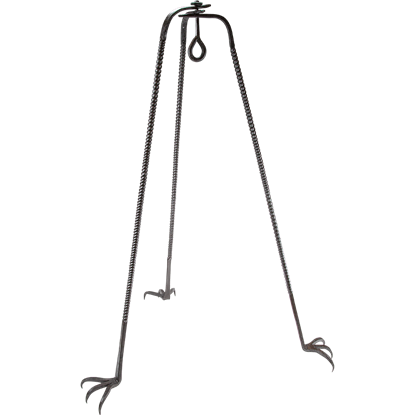 This hand forged cooking tripod stands on tall, thin legs with spiral twists, each ending in clawed feet for a better grip on the ground.